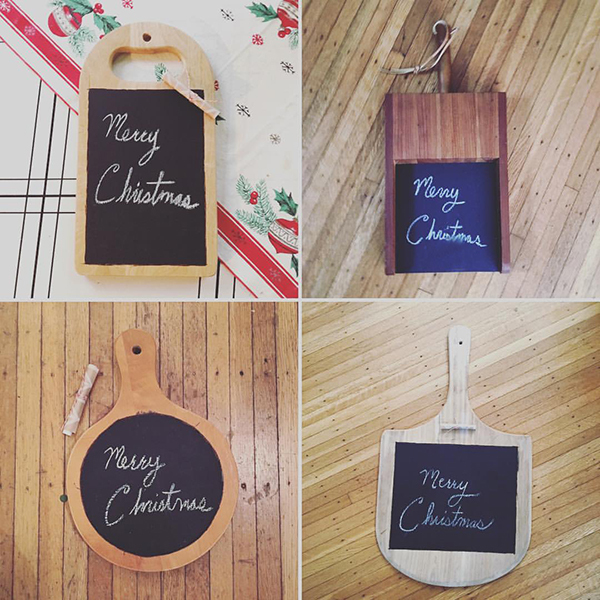 For my handmade gifts this year, I made my peeps kitchen chalkboards from upcycled cutting boards. I made myself a prototype earlier this fall. I also burned myself making it but I was extra careful making these. I visited 11 thrift stores to find enough cutting boards. I can tell you where every Goodwill, Salvation Army and Savers is in the Rochester Area. Tina's chalkboard (lower right) is actually a pizza peel which works out because she loves pizza. Each board has the shape outlined with the wood burning tool and then the chalkboard paint inside the lines. 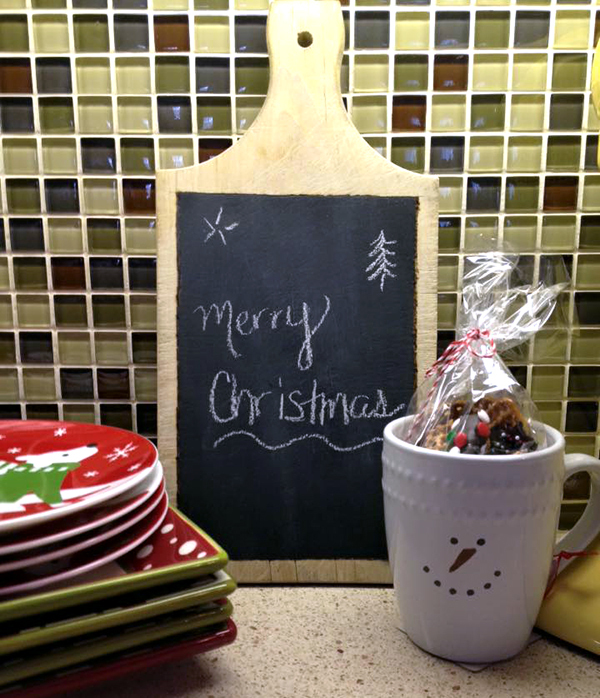 I included a stick of chalk rolled up in craft paper with each chalkboard. This one was photographed in my friend, Paulette's, kitchen. I hope all my friends enjoy them!